As a genius of the High Renaissance, even Michelangelo couldn’t completely evade the basic chores of everyday life. He could, however, send servants to do some of them for him. One of the few surviving papers from the 15th and 16th century artist, architect, and poet is a grocery list he gave to an assistant tasked with fetching his desired foodstuffs. 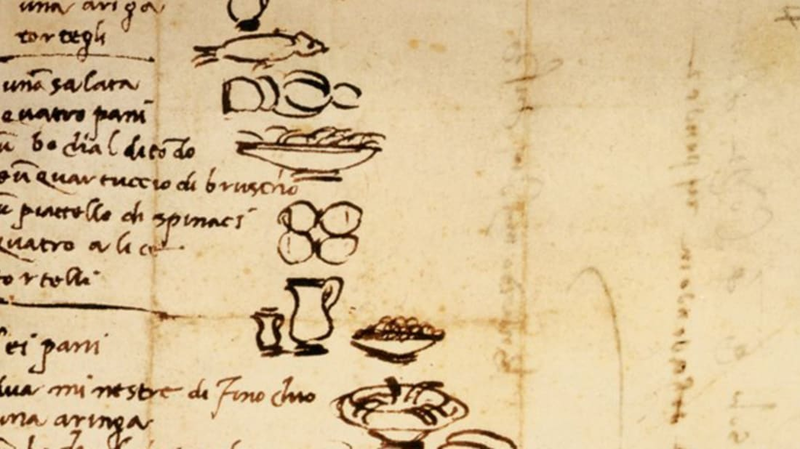 The drawings might seem like a natural extension of artistry, but in fact, the doodles of fish, bread, two fennel soups, a herring (un aringa), anchovies, and wine (“un bocal di vino”), were a matter of function, as the servant tasked with the grocery run was illiterate. The list is archived at the Florence museum Casa Buonarroti, along with more of Michelangelo’s handwritten notes.